Ten incredible women startup founders, 48 hours in Paris, five minutes on stage, and an all round great experience: that pretty much sums up my trip to participate in the StartHer Awards. StartHer is a non-profit that aims to encourage women and girls to pursue careers in the tech industry and entrepreneurial projects. Its activities revolve around events, content, education, and a strong and international network. Their efforts are particularly important in light of all the testimonies of sexual harassment and discrimination coming out of Silicon Valley, but unlike many who talk about how things need to change, StartHer isn’t just talking. They’re doing. And they’re doing it in the form of the Awards that took place this past Thursday evening in Paris, where they covered the travel expenses and accommodations for ten women from seven countries who were selected from over 360 applicants to pitch in Paris in front of a prestigious crowd of supporters, with one startup taking home the grand prize of €10,000. I went to pitch on behalf of Strattic, and it was an incredible experience, which highlighted for me the importance of events like this for women. My fellow finalists were talented, smart, and driven. (And funny.) Yet many of them had never pitched or spoken on a stage before! As the five-time organizer of WordCamp Israel, I saw how hard it is to recruit women speakers, and I think that one of the issues is that many women have little experience with public speaking. As a result, they may not feel confident in their ability to provide value or may feel extremely nervous about the prospect of speaking, and don’t apply. They need that first speaking opportunity to break the ice and see that they can do it. StartHer and other events like it could be that first time, where women can get up on stage in a safe environment. StartHer did something really smart too: we had “rehearsals” in front of a very supportive group of women business angels. It was amazing how the pitches improved after practicing on the stage and getting valuable feedback from the angel panel. The last reason an event like this is important is that there is no possibility of gender discrimination. Aline co-founded CitizenLab due to her keen interest in urban studies and citizen involvement. CitizenLab is a civic engagement platform on which citizens co-create their city. Aline is very motivated and ambitious, and her company already has many successes in terms of getting governments to sign up for their platform. Martyna was previously co-founder of a software boutique in Krakow, where she grew it from 3 people to almost 20 within a year. She is now the co-Founder of Contellio, which is used by companies to convert existing content into marketing designs that sell. She is very engaged in Krakow’s Startup Community, and volunteers in the Hive53 community where they organize various events that educate and inspire young people to become entrepreneurs. She also loves her dog — I got to see pictures of him. Adorable. Elisa is a front end developer and UX designer, and her family owns a number of olive trees. She co-founded Devoleum to ensure that the virgin Italian olive oil that people are buying is both virgin, and Italian. This is accomplished with Blockchain which offers the transparency and openness needed to reassure them that the EVOO they eat is exactly what the label says it is. Sonal coded the software behind Exate in the evening while working at one of England’s largest banks in the daytime. Exate protects sensitive data in order to allow for greater client trust with firms and to comply with the EU General Data Protection Regulation (GDPR). Exate’s data middleware solution allows clients to apply rules which easily and effectively control how data is accessed. Ditte co-founded HelloMind with Jacob Strachotta, who has provided hypnosis therapy and hypnotherapy for more than 20 years. HelloMind is a mobile app that can help its users change or eliminate low self-esteem, stress, fear, bad sleep and unhealthy habits. 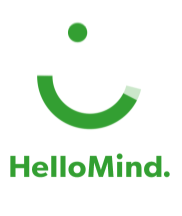 HelloMind can be used by anyone who is open and willing to make a positive change in life. Clemence Franc, co-Founder & CEO, Novagray — France — WINNER! Clémence Franc worked for household names in the engineering, consulting and scientific fields (Deloitte, GE HealthCare, Colas) before founding NovaGray. Novagray is working towards improved and personalized radiation therapy cancer treatment. Clemence won the StartHer award with her moving and effective pitch. StartHer is a competition for European companies but they opened it up to Israeli founders too, and I am so grateful for that. I’m the founder of a leading global open-source web development company, and became one of the top thought leaders and influencers in our industry. 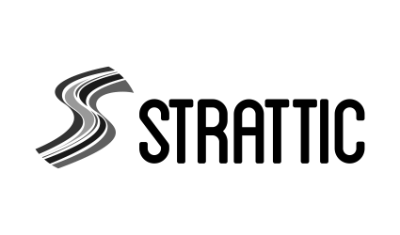 Strattic publishes Open Source content management systems like WordPress, Joomla and Drupal as static, serverless sites, making them fast, secure and scalable. I founded Strattic to make web security simple & accessible to all. There aren’t very many women in Construction tech, so Laura is the second woman I met in the industry, which is impressive. Tracktor is a marketplace for renting construction equipment. Laura founded Tracktor in order to facilitate access to construction equipment and to allow construction teams to devote themselves to the needs of their site. The premise is simple: book the right machine at the right time, at the right place and at the right price in just three minutes. ClaimCompass helps air passengers receive their deserved compensation for delayed, canceled or overbooked flights. ClaimCompass offers a web app and tries to speed up the claiming process for passengers. Their average claim refund is $420. Anne has been a Business Angel for over twelve years in the FBA network. 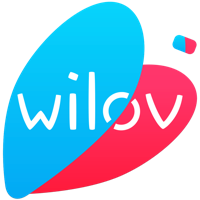 Wilov is the first “pay as you drive” car insurance, 100% managed via mobile with the goal of making car insurance transparent. We were kept very busy during our stay in Paris. The first evening we arrived we had a dinner for the finalists, which was great since it gave us a chance to start to get to know each other. The next day was lunch (which included Champagne) with Mounir Mahjoubi, France’s Secretary of State in charge of Digital Affairs. Following lunch, we headed to Station F, a new coworking space that was established by a French billionaire and is apparently the largest startup campus in the world. This was where the StartHer Awards event was taking place. I had heard about it from other people, and since I love to explore and photograph coworking spaces I was excited to see it. Station F is HUGE. 34,000 square meters-huge to be exact. It’s not full to capacity yet but can house 1,000 startups, and 3,000 people. It is comprised of three zones, and has 26 international startup programs. They have an interesting program called The Fighters: founders can apply for any of the programs and show that they are fighters, i.e. they have fought in life to get where they are, to get a free year of workspace. Over the last few months I had the opportunity to attend two Europe-focused events in Paris: WordCamp Europe in June, and now StartHer Awards, and I have to say that I’ve loved the people I got to meet! I really do hope that I have more opportunities to participate in European tech events, since it’s such a positive scene. Huge thank you to the team behind StartHer for their initiative and hard work, and for enabling me to be part of this incredible experience! Next articleL’entrepreneure Elsa Hermal d’Epicery reçoit les Petits Déjeuners StartHer !